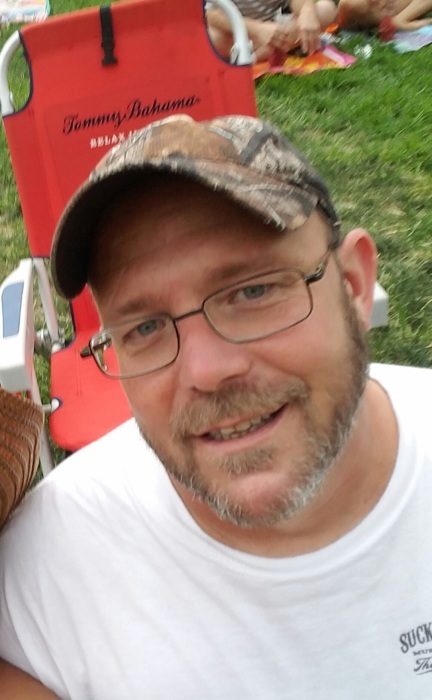 Joseph “Bo” Adwell Jr., age 48 of Newark, DE passed away on June 25, 2018 after a brief illness, lovingly surrounded by family. Bo was born in Washington, PA in 1969 to Joseph W. Adwell Sr. and Margaret L. (Garrone) Scarbro. Bo graduated from Greenbrier High School in Lewisburg, West Virginia, class of 1987. He then moved to Newark, Delaware where he met Lisa Temple and married in 1993. They enjoyed 25 years of laughter, tears and numerous adventures. Bo was a kind-hearted man and a true gentleman. He would drop everything to help someone in need and always put others before himself. Bo enjoyed riding his motorcycle, boating and traveling to the beach, but above all he loved spending time with his family and yearly vacations to Wildwood with the kids. In addition to his father, Bo was preceded in death by his maternal grandparents Louis R. and Delores J. Garrone, his paternal grandparents Willard J. and Sarah L. Adwell and his “only sunshine” Joseph “Joey” Southard. He leaves behind, his partner in crime and the love of his life, Lisa Adwell, daughter Kristen Temple, sister Christina (Adwell) Musser, niece Nicole Musser, nephew Jake Musser, mother Margaret Scarbro and her husband Roy, step sister Angie (Eric) Welsh, step brother Christopher (Amy) Scarbro, and aunt Martha Elmore of WV along with numerous other nieces, nephews, and cousins. A Memorial Service will be held on Sunday July 1, 2018 at 3:00 pm at Beeson Funeral Home, 2053 Pulaski Highway, Newark, DE 19702 where friends and family may visit from 1:00 to 3:00 pm. Burial will be private. Those who wish to remember Bo in a special way may make a donation in his memory to United Cerebral Palsy (UCP), 700A River Rd., Wilmington, DE 19809.